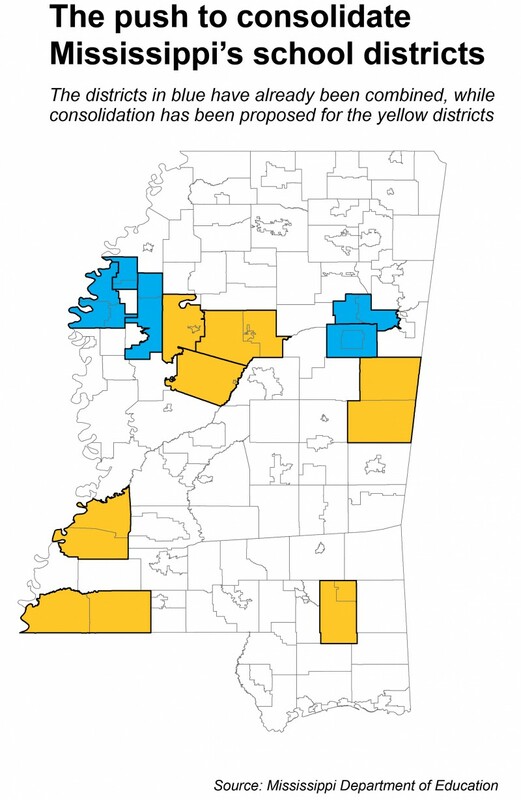 Across Mississippi, districts continue to merge. But is bigger any better? INDIANOLA, Miss. — When Debra Dace took the reins of the Sunflower Consolidated School District on July 1, 2014, she was handed a budget and three failing school districts that the state had recently merged into one. Her assignment: use the merger to save money and improve performance in the new district, which housed schools that had produced some of the lowest test scores in the state for years. So that first year of consolidation, the district didn’t save any money. Every year for the past 10 years, Mississippi legislators have proposed school district consolidation during the state’s legislative session in an attempt to save money or increase academic performance. Since 2012, nearly a dozen Mississippi districts have been ordered to merge, many of them small and low-performing. The hope is that larger districts, with larger schools, can be more cost-efficient and offer more classes, resources, and opportunities for students, including extracurricular activities. Indeed, a 2013 report from the Washington-based Center for American Progress found that small schools often have “higher overhead costs” because they must provide teachers, resources, and courses regardless of the number of students. But Mississippi’s experience with consolidation suggests that many factors can get in the way of a successful merger and make it harder to improve efficiency and save money. Communities often feel an allegiance to local schools and traditions and see consolidation as a threat to a community’s identity. Superintendents have to balance these often competing interests and allegiances in their bid to cut costs. In 2014, Senate education committee chairman Gray Tollison, R-Oxford, proposed consolidating 14 Mississippi school districts across the state into seven larger districts. One of those proposals would have consolidated Greenwood’s school district with the Leflore County school district, which was placed under state conservatorship in 2013. A law enacted in 2013 mandates that three or more districts in the same county must merge if they are all under state conservatorship, which means they are either financially or academically troubled. That means more district mergers could be ahead. According to Tollison, the goal of consolidation is to free up funds by downsizing the number of superintendents and other district staff. Ideally, districts would then use those funds in the classrooms to improve academic performance, Tollison added. But there’s no guarantee this will happen. “We provide the catalyst and it’s ultimately up to the local school board to take advantage of that,” Tollison said. And indeed, some districts have taken advantage of this catalyst: there are several stories of successful consolidation. In Maine, several merged school districts reported financial savings from reducing and reorganizing administrative positions. They were also able to increase academic opportunities by offering more Advanced Placement and preschool classes. There have also been some promising mergers in Mississippi, like that of the Starkville and Oktibbeha County school districts this year. Starkville School District was a relatively successful district, according to the state rating system, while Oktibbeha was low performing. For students in Oktibbeha, the merger was an expansion of current practice — many students were already relying on Starkville for some classes. The consolidation was less of a slam-dunk in Starkville. In a statement by the nonprofit Parents for Public Schools Starkville, the organization acknowledged that despite initial shock, citizens in Starkville realized that merging could provide a better education for the entire community.With the involvement of Starkville’s Mississippi State University in the new merged district, all students would benefit from more resources. But that’s not the case for all merged districts in Mississippi. The Indianola, Drew, and Sunflower districts, which now make up the new Sunflower County Consolidated Schools, were all low-performing prior to consolidation. When the legislature voted to consolidate the three struggling districts into one in 2012, Lt. Gov. Tate Reeves said in a press release that by “eliminating duplicative functions, the school district would be able to spend more than $1 million more on classroom needs.” But in fact Mississippi’s experience with consolidation has much to teach about how elusive — and inconclusive — financial gains from such mergers can be. A Hechinger Report review of Mississippi school district budget data found districts with smaller enrollments do spend a higher percentage of their budgets on general administration than districts with larger enrollments. However, consolidating two or more districts into a larger district does not necessarily mean the new district will spend a lower percentage on administration, or that student achievement will improve. Nationwide, consolidation has been a popular topic in states with a large number of small, rural districts. In Vermont, in 2014, legislators proposed consolidating the state’s 273 districts into fewer than 60 in the hope that consolidation could cut down on administrative costs. A bill proposed this year in Missouri would mandate consolidation for districts with fewer than 350 students, also in an attempt to save money. Research on the benefits of school consolidation is mixed. Some studies show that when larger schools are formed through consolidation, those schools are able to offer more courses and more professional development for teachers. In some states, like New York, districts can receive an increase in state aid after they consolidate, as well as money for construction projects in the new district. The pushback against consolidation often becomes personal, as districts fight to keep schools that represent a community’s identity. Ulrich Boser, a senior fellow at the Center for American Progress, says that sense of ownership is sometimes why districts balk at the idea of sharing money with another district. Often, people aren’t willing to consolidate because “school systems are so dependent on local property taxes that they don’t want to help fund education for kids down the road,” Boser said. Even if consolidating districts results in savings, Boser said that shouldn’t necessarily be the goal of a consolidation. “Smart school leaders don’t just save money for money’s sake,” Boser said. “They reuse those dollars in ways that are more effective.” For example, he added, a new district might find more efficient ways to order cafeteria or transportation services, and put the money saved into early childhood or special academic programs. Some experts say there are many ways to save money — by sharing teachers or services like counseling, for example — while still preserving separate school districts. A report by the Rural School and Community Trust, a Washington-based nonprofit, suggested that districts share a superintendent or a central office in order to preserve the benefits of small schools while cutting costs. In Mississippi, it’s too soon to tell if test scores or graduation rates have improved in the 10 districts that have consolidated since 2012. This year, students across the state took new exams for the first time, which will make it nearly impossible to compare student achievement with previous years. Next year, the state will once again change exams. In the new Sunflower County Consolidated School District, which now serves more than 4,100 students, consolidation has hardly been a quick fix for the region’s academic woes. In May, nearly 22 percent of the district’s third grade students failed a reading exam required for fourth grade. Other test data from the district’s first year of consolidation is not yet available to see how students fared on state exams. Despite the lack of evidence that consolidation works, some legislators, like Rep. Willie Perkins, D-Greenwood, believe it will continue to be introduced as a solution in a state brimming with cash-strapped schools. Since 1997, Mississippi has only fully funded its school districts twice. “If the Republicans remain in control of the House of Representatives, I suspect that we will see some studies on consolidation or a repeat of bills being introduced and perhaps passed to consolidate certain school districts,” Perkins said. 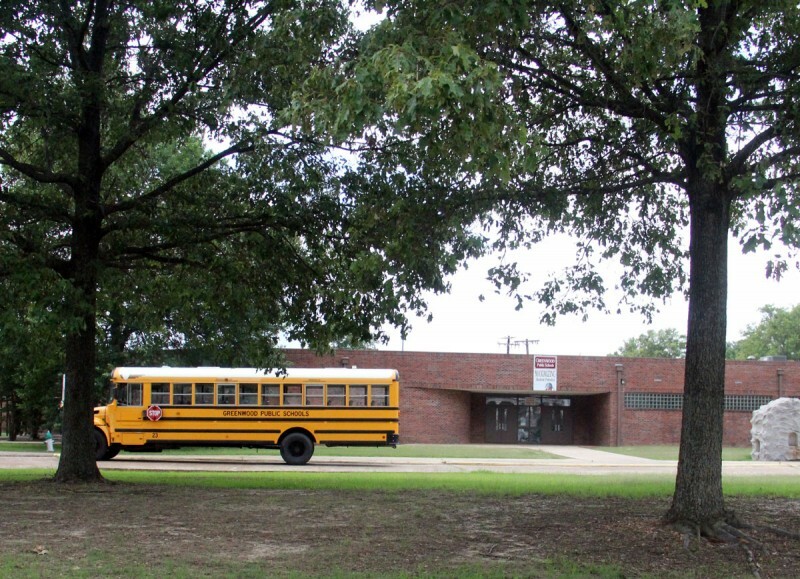 In 2014, Tollison and other state lawmakers ignited controversy when they proposed consolidating the roughly 2,800-student Greenwood Public School District with the Leflore County School District, which has about 2,500 students and has received failing or low-achieving scores from the state in recent years. Leflore County has also seen a drop in enrollment over the past year. In the 2014 legislative session, two radically different proposals to merge the districts passed the House and Senate, but local legislators vehemently disagreed over how to govern the combined district. Tollison’s initial proposal called for the mayor of Greenwood to appoint three of the five members of the combined school board, while an amendment pushed by State Sen. David Jordan, D-Greenwood, would have mandated that school board members be elected. The Greenwood School Board and Superintendent Montrell Greene argued that they should be given control of the combined district, at least initially. Both proposals to merge the districts were killed during the legislative session. Although the discussion of consolidation has largely died down due to this fall’s looming elections, officials and educators in Greenwood and Leflore County believe that the proposals could come up again in the future. Backers of a merged district point to aging and decrepit facilities and shrinking enrollments in both districts, arguing that a consolidated Greenwood-Leflore district could more effectively manage resources — and possibly combine schools into newer, larger facilities. Conservator Bob Strebeck, who took over the Leflore County school district for the state, told the Senate Education Committee that when he assumed control of the district in 2013 it had twice as many teachers as it needed. 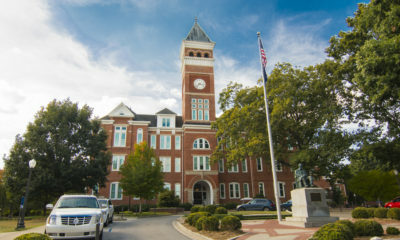 According to the Associated Press, he said that former administrators had given out raises right before the takeover. “There was absolutely no academic accountability, there was no financial planning and the school district needs to be restructured,” Strebeck reportedly told the committee. But Democrat Perkins said he is skeptical that consolidation is a solution for struggling districts. “I haven’t seen anything that would show me that consolidation of schools would solve the problems,” Perkins said. In Indianola, Superintendent Dace says that it’s going to take a lot of hard work to improve schools and build a more efficient district. Dace’s priorities as she moves forward are hiring and retaining high-quality teachers and upgrading facilities for students in the new consolidated district. 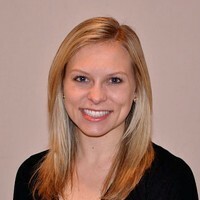 But, she said, her most important goal is to see the communities unite around their schools. Bryn Stole and Sarah Butrymowicz contributed to this report, which was produced by The Hechinger Report, a nonprofit, independent news organization focused on inequality and innovation in education. Read more about Mississippi.